Earlier in February, Rolex created a new subsidiary, Tudor Watch USA, LLC. Rolex followed this up with a launch date in the summer of 2013 under the helm of Russell Kelly. With the announcement of Tudor coming to the United States, other mid-priced watch brands such as Omega and Tag-Heuer will expect a little more competition at the local mall. Rolex first opened Tudor watches in 1946. This was when Rolex founder Hans Wilsdorf wanted a watch that was affordable to all. Wilsdorf named the watch to honor the Tudor period of England. This was a time when the country was economically healthier, more expansive and optimistic than in the previous thousand years under the humble beginnings of the Tudor family. 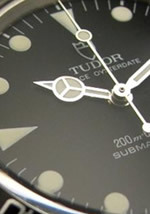 Tudor watches initially had the Tudor Rose as its insignia and changed it to a shield in the 1960’s. Tudor watches are Rolex’s alter ego. Manufactured and owned by Rolex, Tudor utilizes the same patents and innovations as the regular Rolex watches. However, it does not follow the same design ethos. There is a difference between Tudor and Rolex, yet, there are also similarities. For instance, Tudor utilizes the same case, winding crowns, crystals, helium escape valves, and bracelets. In fact, during the 1990’s, Rolex sold many Tudors with Rolex signed bracelets and crowns. We see Rolex design influences in the Tudor line. However, the modern Tudor watches encompass many aspects that resonate with vintage watch lovers that are not seen in modern Rolex watches. The Tudor Black Bay is a classic no-date dive watch that includes a classic domed crystal in sapphire rather than acrylic as was back in the day. The Tudor Pelagos is a dive watch with date, helium escape valve, a self adjusting bracelet clasp not found in any Rolex watch, and all in titanium. The Tudor Heritage Chrono is a classic chronograph complete with orange highlights, a date window, and choice between stainless or nylon NATO strap that are features not found on the Rolex Daytona. All of these watches possess Rolex quality but at a price that is a little more modest than the Rolex counterparts. Tudor is able to offer these watches more affordably. This is because of the second primary difference between Rolex and Tudor, the use of ETA movements. Hans Wilsdorf envisioned Rolex watches for everyone, but he did not want to lower standards from the Rolex line. Subsequently, he envisioned a watch that possessed the same design and functional standards as the Rolex line, but at a price point reachable by the general populous. The use of ETA movements lowers the entry point for people who appreciate Tudor’s retro designs, but doesn’t sacrifice functionality. Tudor watches have the same pressure proof rating and possess the same timing functionality. In some cases, they have more functionality than the regular Rolex line as demonstrated by the date window in the Heritage Chrono and the titanium case and self adjusting bracelet in the Pelagos. 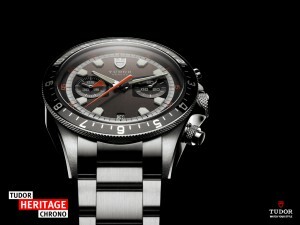 For the last 10 years, Tudor watches were not available in the United States. Tudor had to be purchased in Canada or Europe hand carried into the United States. The watches were not available by any authorized dealer. Starting summer, with Tudor coming to the United States, Tudor watches will be available through Rolex dealer networks and serviced at Rolex Service Centers in New York, Beverly Hills, and Dallas.